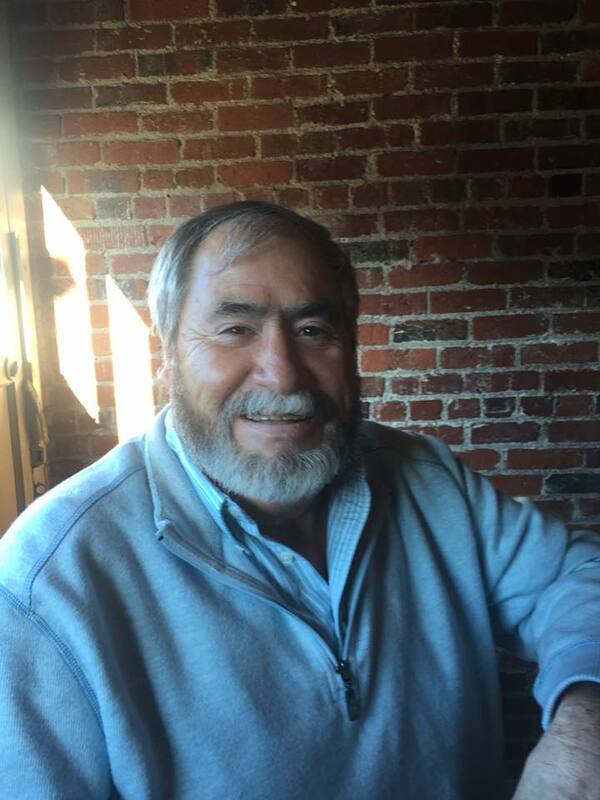 Sylvester “Bootie” Moran Jr., 69 of Bellingham, WA, went to be with his Lord on the morning of November 20th, 2018 in Roosevelt County, MT. Bootie was born on a snowy December 25th, 1948 to Sylvester and Susan (Azure) Moran in Roosevelt County, MT. Bootie spent his childhood growing up in Wolf Point, MT working at the grain elevator in Wolf Point with his father “Red”; unloading rail cars with his father and brothers, Randy and Stanley. Bootie was a hard worker and he carried that with him through his railroad career. On April 1st, 1969 he was hired by the Great Northern railroad; he devoted 37 years to the railroad. After his “so called” retirement, Bootie worked on various private railroad projects that included expanding the Portland and Seattle public transit systems. He also had his own railroad consulting business called “Moran Consulting” that involved repairing local business rail lines and spurs with his own crew. Bootie expected a lot out of those who worked alongside him, but he always led the way with his work ethic. In his younger years, Bootie enjoyed participating in and working the Wild Horse Race at the Wolf Point Marvin Brookman Stadium. Bootie met his wife Cathy in Billings, MT, in 1976. Bootie knew as soon as he saw her, they would be married for life. Bootie and Cathy had three children: Tori, Janelle, and Marcus. In 1988 Bootie and his family moved to Bellingham, WA for his promotion as Roadmaster with the BNSF. In Bellingham, Bootie’s railroad career expanded, and his work ethic inspired many. Everywhere Bootie went he made new friends and impacted many lives in a positive way. Bootie’s hobbies included walking, watching his grandchildren, traveling, rooting for the Raiders and the LA Lakers, and donating plasma. He had family and friends in Bellingham, WA, Yuma, AZ, Butte, MT, Great Falls, MT, Glasgow, MT and of course, Wolf Point, MT and the many miles in between. If there was something fun happening, Bootie was there. Bootie is survived by wife Catherine (Mulholland) Moran, children Tori (Dana) Matejovsky of Wolf Point, MT, Janelle (Carson) Witman of Blaine, WA, Marcus (Jocelyn) Moran of Bellingham, WA, his brothers Randy Moran and Stanley (Janice) Moran of Wolf Point MT, his four grandchildren Annaleigh, Cash, and Addison Matejovsky of Wolf Point, MT and Clint Witman of Blaine, WA, and his Mother in Law Barbara Mulholland of Butte, MT, as well as numerous nieces, nephews, uncles, aunts, and cousins. He is preceded in death by his father Sylvester Moran Sr. and his mother Susan Moran. Services will be held Friday morning at 10 am at Immaculate Conception Parish in Wolf Point, MT, with a luncheon to follow in the Parish Hall. Bellingham friends are invited to join the family for a celebration of Bootie’s life on Thursday, December 6th, from 4 pm – 8 pm, at the Squalicum Boathouse in Bellingham, WA. Please bring your favorite memories and stories to share. May the Lord comfort the family, friends and relatives. You are in our prayers. We all have our memories and will miss Bootie as our families are forever in our hearts. Deepest sympathy to the family. May the care and love of the Creator, family and friends ease your sorrow and in time bring healing and peace. May the knowledge of God’s never ending love for us bring you peace, knowing that Sylvester rests in that love now and forever. Keeping you in prayer. We are shocked and saddened to hear of Bootie’s death…we’ll always remember him as the smiling, friendly soul he was. My condolences to the families. Rest in peace in cousin. My thoughts and prayers are with your family. May good memories keep him forever in your hearts. Dear Bootie Moran family, About 6 months ago we buried Susie his mom and now we lay to rest Bootie. May the family reunion in heaven be a nice gathering. We are grateful that we had Bootie on earth for quite a while. May his family be blessed by the Lord Jesus Christ. Love, Polly and Bert Feuvray and the rest of the Azure and Moran families and Houle families. So sorry for your loss Janell and family. Cathy and family, I was so sad to hear about Booty. I am so sorry for your loss. You are all in my thoughts and prayers. Love you all. I am So Sorry for your loss. Sending Prayers to the whole family. Sylvester was a man that stood up for what was right, He was a true gentleman, a devoted family man, always ready to go out of his way to help others. He was also a great person to have as a friend. He was a very close friend to me. He had a strong funny, helpful, joyous and delightful personality. He was truly one of a kind. He lived life fully every day, it didn’t matter if he was working, playing, or enjoying time with family or friends he was one of a kind. I was privileged to be called his friend. I can’t put in words how sorry I am for all of his immediate and extended family. I had the privilege of calling him a true friend. Rest in peace friend. So very sorry to hear of Booties passing sending thoughts and prayers your way. I’m so sorry to hear about Bootie he was a good man and I enjoyed working with him in 2000. Thoughts and prayers for the family! Tom and I remember Bootie on our wedding night in downtown Denver…He commandeered a pedi-cab (think tricycle) with the two of us in the back seat. He peddled around the square purposely running us into hanging tree limbs. The owner/driver could have been upset, but he was laughing just as hard as everyone else, and Bootie gave the man a generous tip for the use of his bike. It was one of many times that Bootie added a dose of fun and folly to an occasion. We will never forget his contagious laugh, his broad smile and how he lived every moment to the fullest. Thanks for the ride, Bootie! Words, however kind, can’t mend your heartache, but those who care and share your loss wish you comfort and peace of mind. May you find strength in the love of family and in the warm embrace of friends. And may the most loving memories of Bootie, help comfort your sorrow. Sending my deepest condolences. Words, however kind, cannot mend your heartache, but those who care and share your loss wish you comfort and peace of mind. May you find strength in the love of family and in the warm embrace of friends. And may the most loving memory of Bootie, help comfort your sorrow. I didn’t consider Bootie a cousin, but an uncle…the fun one who would always laugh and had you laughing. His smile was infectious and I will miss that! Much love and prayers to you all. We are all thinking of you Cathy and holding you close in our heart’s. The loss in unfathomable- we are so sorry. Booty was a classy classmate…Always had a smile and made the room a bit brighter with his presence. It is sad for those left here, but we know that there will be a great reunion by and by. My sincere condolences to his family and friends. Remember the good times. We are so sorry for your loss. Bootie was a really good man. I regret that I didn’t take advantage of seeing him for many years. We had many good times working for the RR. I hope you can find some comfort and strength through the many thoughts and prayers offered on your behalf. Our sincere condolences. I worked with bootie years ago when he was working as assistant roadmaster on a gang in southern Montana. I always thought he with good at his job and ver,y nice to work with. Ai have good memories of Bootie . I am sure you will miss him greatly. When I think of Bootie, I think of good times, that big smile, his loyal friendship, his dedication to his job and his love for all of you. It makes me very sad to know that he’s not here. I hope your memories and love get you through this hard time. My family and I are thinking of you all. Well done my friend, Rest In Peace. Sending you and the kids lots of hugs and prayers. So sorry for your tremendous loss. It truly seems that Bootie never knew a stranger. He was the one who made my daughter, Nichol and me feel welcome when we went to visit Cathy’s brother in law, Michael Young in Butte several years ago. We pray for “peace that passes all understanding” within the immediate as well as extended family. We are so sorry to hear about Bootie’s death. Our thoughts are with you and your family during this time. Sending Prayers. And heartfelt sorrow to the family. Bootie was more of a brother than a friend to our family. Words cannot express the sorrow felt. He will be forever in our hearts and greatly missed. Our condolences. We are just heartbroken for you. Words can’t express the feelings held in heart and thought over the loss of Bootie. Haven’t had him or you out of mind and aching heart since we heard of your loss. The first image that came to mind was that wonderful smiling face and the joy and fun of the nature that was so much him. you all are held in warm thoughts, prayers and hope that memories you shared, times you had together and the wonders of Bootie will soon ease the pain and sorrow you are now feeling………… Love to you and your family……..
On my own behalf and that of the debate kids I coach, I want to let you know how sorry I was to hear of Bootie’s passing. This must be such a sad time, but, I hope the love and support of all those whose lives have been touched by Cathy and Bootie will help ease the pain. Having grown up in Wolf Point we were given the chance to know Bootie and his family. Bootie was a good friend to have. He always looked at things in a way that made them better for everyone. When it came to a party or a quick drink Bootie knew how to have a good time. If you needed help, you only had to ask. We only wish we would have been around more often to see him. We know that his family will feel his loss forever but we believe his generous spirit will be with us. I am so sorry for your unimaginable loss. Bootie made everyone around him feel welcome and was so much fun. It was so clear how much he loved his wonderful family. You are in our thoughts and prayers. Cathy, we are very sorry to learn of Bootie’s passing. Our thoughts are with your family. “Bootie on Duty” He was always there for us. May you rest in peace my friend. My condolences and prayers go out to the family. My condolences to all his family and friends. Booty was a good man and leader. He was well respected on the railroad and will be missed by many. Cathy, I have spent many days and nights with Bootie in all kinds of weather and derailments he was always a great friend and Boss, I will miss him. I loved my cousin and know that he is okay and rejoicing with Uncle Che be be & Aunt Susan. Prayers for Cathy, Tori & family, Janelle & family, Marcus & family. God’s blessings and know that you are loved by many. A good life lived, Bootie. Rest In Peace.